There’s much more to the wines of Emilia-Romagna than just Lambrusco. The region offers myriad wine grapes and styles that deserve to be better known. Mostly gentle pricing provides a strong incentive to get to know these underrated wines even better. One of the cardinal maxims of wine is that hillsides make the best bottles. But there are plenty of flatland vineyards that perform remarkably well too. Italy’s Isonzo denomination and Alsace’s famous Clos de Capucins are examples of how the lowly plains can give delightful, even complex and memorable wines. Emilia-Romagna’s many wonderful wines made with the numerous Lambrusco varieties that live there are another example, and although they clearly are not the last word in complexity or concentration, they can offer easygoing fruit-driven flavors and refreshing mouth-cleansing acidity. But Emilia-Romagna’s wines offer much more than simple entertainment value. The region boasts an incredible array of grape varieties and wine styles that offers something for everyone. Although little known outside the home region, Emilia-Romagna’s wines encompass dry and sweet whites, reds and sparklers made from literally dozens of grape varieties, many of which come from hillsides too (such as the wines called Colli di Parma or Colli Piacentini, for example.) International varieties are also well represented, but as is almost always the case in Italy, most of the excitement lies with the region’s native varieties, which produce wines that are not made anywhere else in the world. While we tend to speak of the region called Emilia-Romagna, the areas of Emilia (which includes the cities of Parma, Bologna, Modena, Ferrara and Reggio Emilia) and Romagna (where the cities of Rimini, Riccione, and Ravenna are located) have very different histories, geographies and wines. Emilia is the western half of the region. Its main grapes are the white Pignoletto and Malvasia Aromatica di Candia varieties and the red Lambruscos. 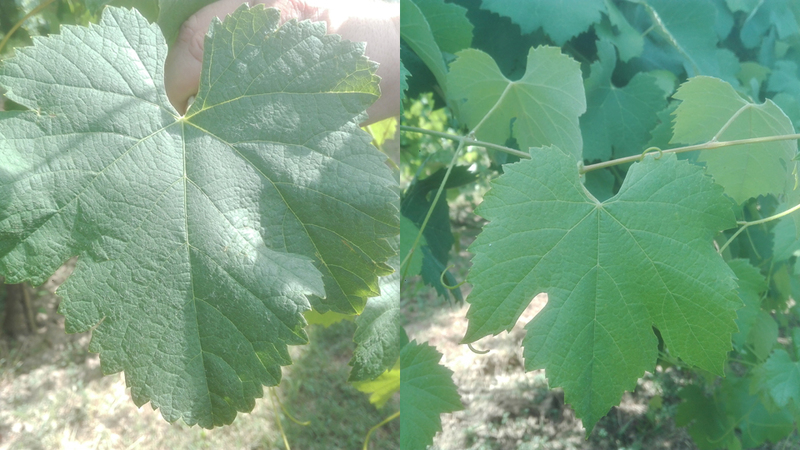 Romagna’s most common white grape is Albana and its most widely planted red grape is Sangiovese. It follows that the two halves of Emilia-Romagna have very little in common, wine-wise. Incidentally, it is not just wrong to refer to “Lambrusco,” it is pointless too. The fact is that there are 17 different Lambrusco cultivars in Emilia and they all give very different wines. So just as you wouldn’t say you are drinking a Pinot when holding a glass of white wine in your hand (you would specify whether it is a Pinot Blanc or Pinot Gris—or, Pinot Bianco or Pinot Grigio), you should not simply say “Lambrusco.” For example, Lambrusco di Sorbara gives a very floral, perfumed, high- acid pink wine of the same name (even though it is a red grape, Lambrusco di Sorbara does not have much in the way of pigments) while Lambrusco Grasparossa (the most famous example of which is Lambrusco Grasparossa di Castelvetro) produces a deep purple wine that is tannic and quite structured. Of the multiple Lambrusco varieties, most are found only in small pockets of Emilia’s countryside and are used primarily in blends. The five that you should remember are Lambrusco di Sorbara, Lambrusco Grasparossa, Lambrusco Salamino, Lambrusco Maestri and Lambrusco Marani. Each of these is associated with a specific part of Emilia. Lambrusco Maestri is from Parma, while Lambrusco di Sorbara and Grasparossa hail from the countryside around Modena. Reggio Emilia is home to Lambrusco Salamino and Lambrusco Marani. As a general rule, Lambrusco Salamino yields a wine that falls in between the two Sorbara-Grasparossa extremes, while Maestri is the darkest and fruitiest of all these wines — almost to excess, in my view, and although these wines can be bubbly, inky in color and reminiscent of bubble gum, Lambrusco Maestri is currently very popular. Marani is often described as a lower-quality Lambrusco but that is only because it gives a delicate, refined, lightly colored wine in the same vein as Sorbara and thus drinkers weaned on lumberjack-type wines are left unimpressed. Pignoletto is exactly the same grape as Umbria’s Grechetto di Todi and different from that region’s Grechetto di Orvieto, is used to make high-acid, light-bodied — and at times fruit-challenged — wines that are bright and refreshing, while Malvasia Aromatica di Candia gives a Moscato Bianco-like wine (bubbly or still) that is lively and floral. This variety also makes very interesting sweet wines. Romagna’s Albana grape gives a rich, chewy white wine — except where yields are too high — because it’s a rare white variety that is also tannic. In fact, Albana di Romagna became Italy’s first-ever white-wine DOCG in 1987. This variety probably produces more interesting sweet wines than dry ones, although there are some excellent dry examples too. Romagna also boasts its own Trebbiano variety, but unlike Trebbiano Abruzzese and Trebbiano Spoletino, which can produce world-class wines, Trebbiano Romagnolo wines are rarely anything to write home about. As usual, there are exceptions to this rule, and some very good whites can be made with this variety (see Tre Monti’s lovely effort, for example). Sangiovese is an important red grape for Romagna. Many producers have high hopes for their Romagna Sangiovese and Romagna Sangiovese Superiore wines. Unfortunately, the majority of such wines (especially those in the Superiore category) are often hopelessly overoaked and charmless. Of course, there are exceptions to this generalization as well, so I invite readers to peruse the tasting notes and scores in this article to find them. Predappio is an extremely interesting subzone in Romagna where Sangiovese seems to perform very well. I recommend readers try wines that have the Predappio moniker on their labels (Predappio is also the name of a high-quality Sangiovese biotype). The little-known Centesimino is an aromatic red variety that yields deeply colored, perfumed dry reds and possibly even more interesting sweet wines that I urge readers to look for. Last but not least, Malbo Gentile and Uva Longanesi (or Burson, but the latter name is usually reserved for the wine) give fairly tannic behemoths that may be an acquired taste. The 2012 growing season was extremely hot in both Emilia and Romagna, so much so that the Sangiovese harvest in Romagna began at the end of August. By contrast, 2013 was much cooler and the grapes were picked beginning in mid-September, with the harvest lasting into early October. Like everywhere else in Italy, the 2014 vintage was very hard on producers. This cold, rainy year has turned out much better for the region’s white wines than its reds. 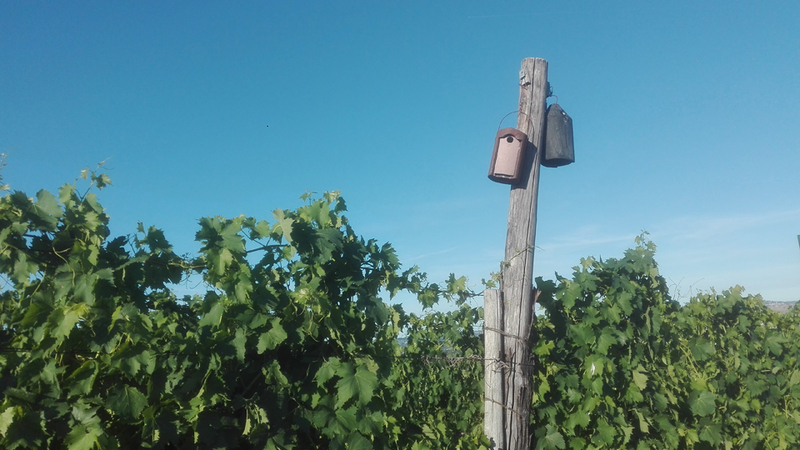 Vintage 2015 was another very hot year, with temperatures as high as 86 degrees Fahrenheit (30 degrees Celcius) recorded in the warmer parts of Romagna as early as 5:00am. 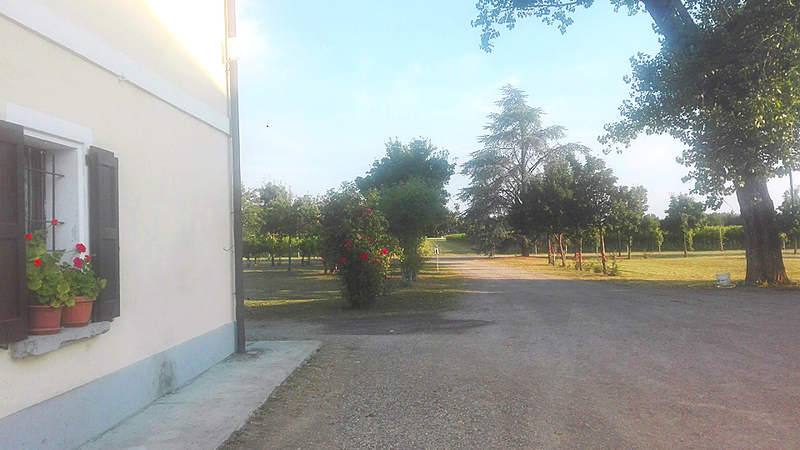 In lower-lying areas of Romagna such as Oriolo (home to the Centesimino variety), the wines were just too jammy and rich in alcohol and thus producers there decided against bottling any Riserva wines. The 2016 vintage is fresh and very promising, especially for whites. 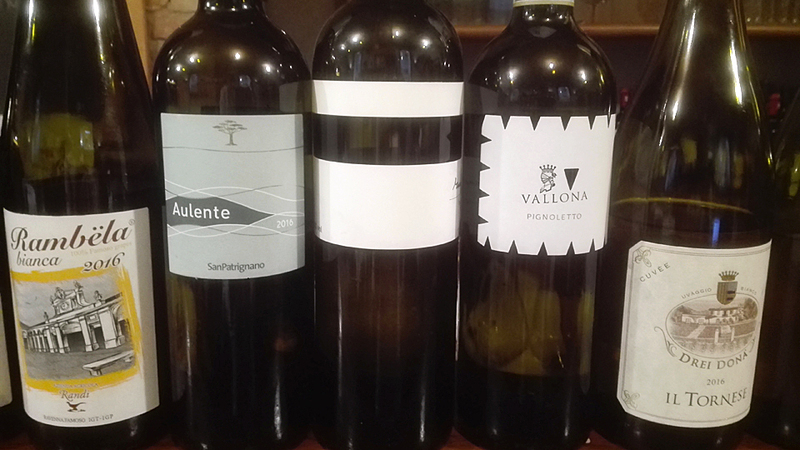 The wines in this report were tasted in May, July and November of 2017 and in January of 2018 during winery visits in Emilia-Romagna, at the Enoteca Regionale dell’Emilia Romagna and in my office in Rome. I would like to thank the Enoteca Regionale’s President, Ambrogio Manzi, and his staff for their help in collecting samples.